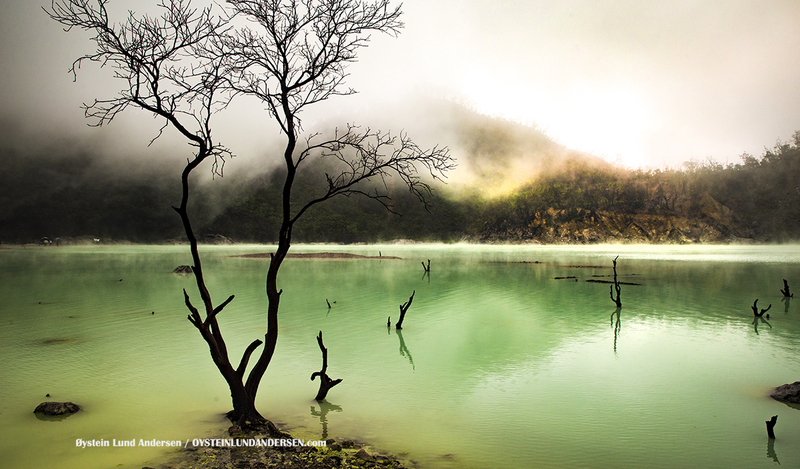 The forested twin volcano Patuha rises SW of the plain of Bandung. 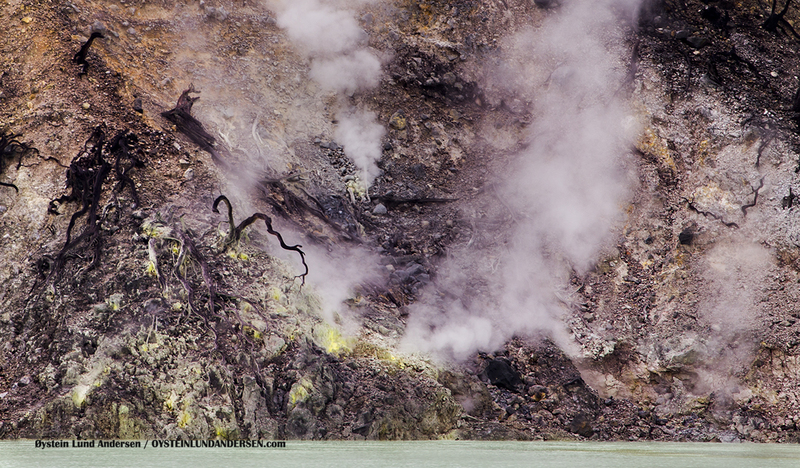 The andesitic volcano contains two summit craters 600 m apart along a NW-SE line. 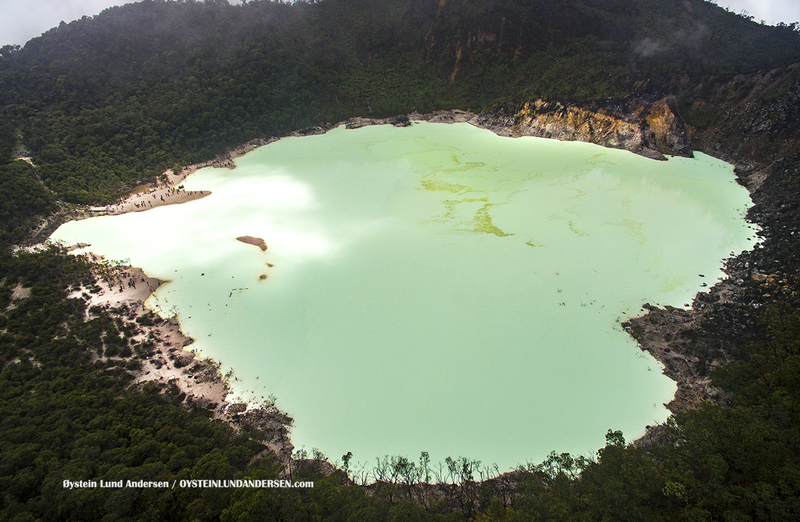 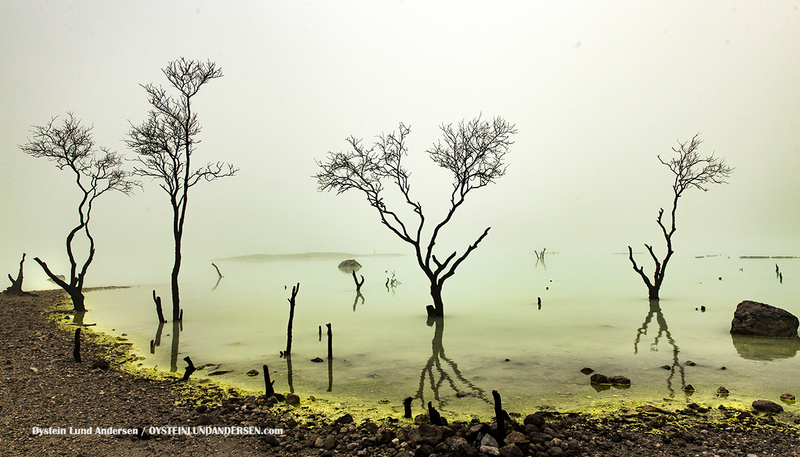 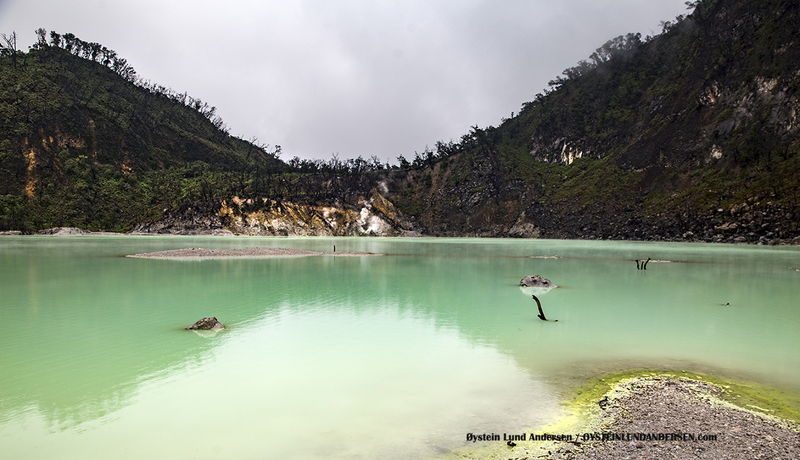 The NW-most and highest summit crater is dry, but the SE crater, Kawah Putih, contains a shallow greenish-white crater lake. 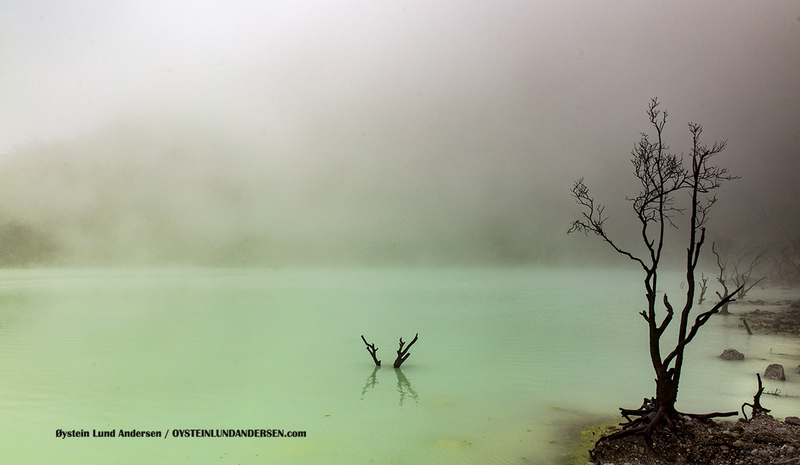 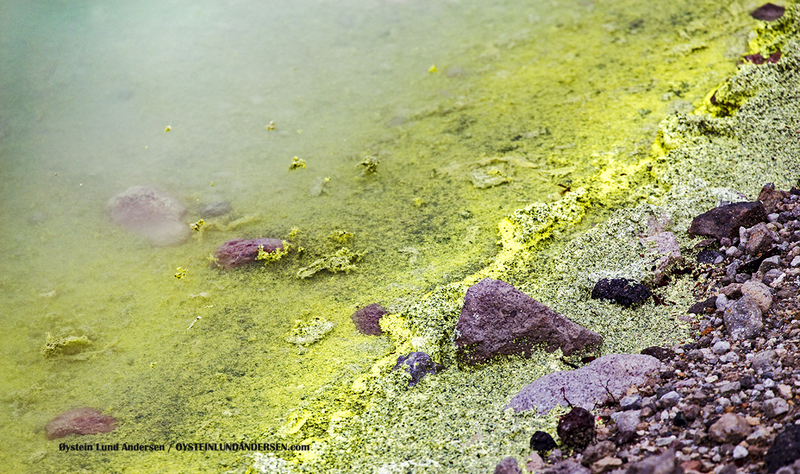 The lake gets its colors from minerals within the volcano, most notably Sulphur. 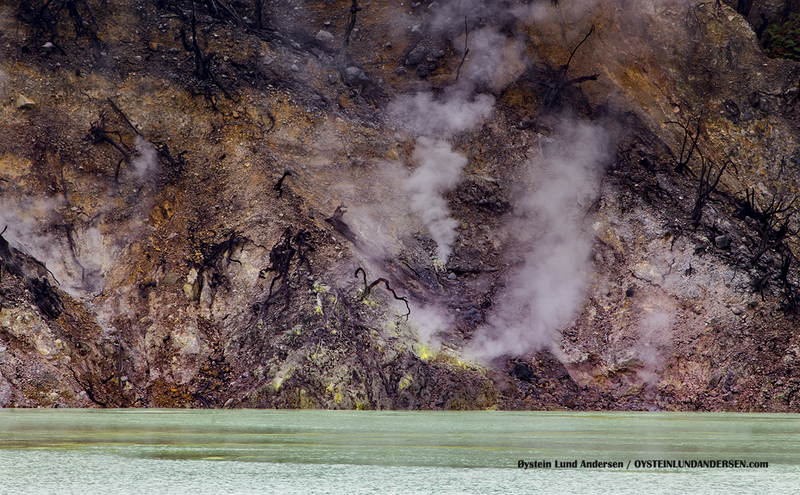 No historical eruptions are known from Patuha. 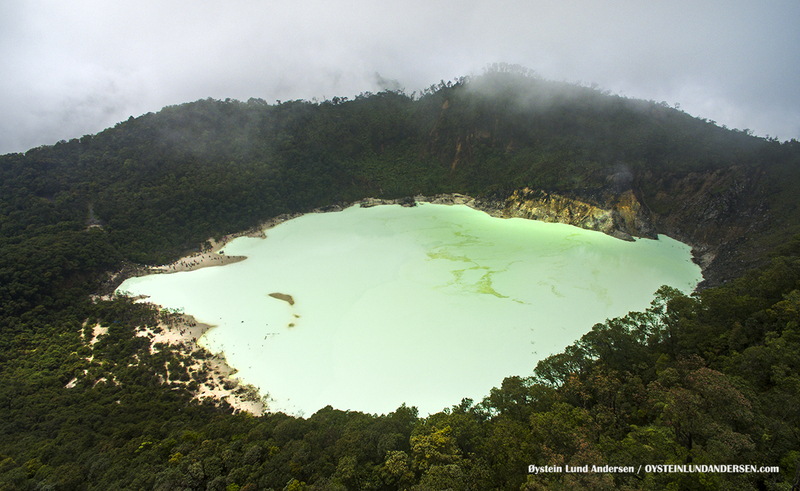 The `kawah putih` crater seen from above, one of the craters of the Patuha Volcano.